Delicious Candy Large Purple Gummy Bear Animal Inflatable 24"
A sheet of 40 round stickers by East of India! They are great for making your own tags, Christmas cards or finishing presents! Wording includes - Merry Christmas, Let it Snow with imags of snowflakes on other stickers. An exclusive designed sheet of Luck & Luck stickers with a Christmas theme of advent numbers 1 - 25 with a snowflake background. This sheet is in shades of red and off white. An exclusive designed sheet of Luck & Luck stickers with a Christmas theme including reindeers with the wording ding dong, Merry Christmas with Reindeers and snowflake designs. Material: PVC. We will reply you ASAP. Your kind understanding and patience will be highly appreciated. Color: As the Picture Show. Due to the light and screen difference, the item's color may be slightly different from the pictures. Quantity : one set (3pcs 3D Tulip). you can enjoy the process of DIY(Do It Yourself),enjoy your beautiful life……. Make Your Own Craft! - this just adds to its beauty and individuality. - even the yarn is hand dyed! A sheet of 40 round stickers by East of India with a red vintage style finish! They are great for making your own tags, Christmas cards or finishing presents! Material: Iron. Condition: 100% new. This item located in china. Luggage belt has a secure lock,which keeps your luggage much more safe The material of nylon is really durable. Can be messaged on the little label. Protects luggage from accidental opening No need for keys, set a combination that opens your lock Perfect for overnight journey or where your bag will be unattended for a length of time Material: Durable Nylon Dimension (L x W): 200cm x 5cm Colour: Black，colorful Package include:2pcs strap Instructions for use: 1， The original password of the lock is​ 0-0-0. Press the big button on ​the side to unlock. 2， If you want to change the password, use a sharp tool to hold on the small button, then turn the numbers,set your new password, then release the button. ( pls hold on the small button​ until the new password completed. ). Excellent condition in shape, color and pattern. It is a very beautiful SIGN. MATERIAL / DESIGN. Packing list: drawer with Ramadan sign Color: Nature Size: The length is approximately. : 30 cm The width is approximately. : 5cm The height is about. 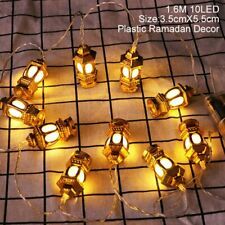 : 43cm Material: wood Weight: 1500G Occasion:Ramadan decoration,Muslim eid mubarak decor,kids gift. Party DIY decorations. We have reason to believe that you will like this unique product and leave a positive five-star rating for sharing with other buyers. If you have doubts, Fengup and ebay will jointly protect your interests. If you don't like our products ,please feel free contact us . ⊙﹏⊙ No matter what problems or needs you have,please feel free contact us. We'll do everything we can to solve your problems.#^_^#. Rainbow Colour Washi Scrapbook Masking Tape / Paper Sticker Tape - 10 Rolls. You have to no worry about your item losing. ~0.75cm x 5m. product description: Style:Eid mubarak Item:Sticker Pattern:Letter Material:Paper(Stickers) Size:4CM&4CM Occasion:Birthday Party,Anniversary,Party,Wedding & Engagement,Party,Children's Usage:Gift wrapping, Party decoration Please note this package is from China,so usually you need wait 20 - 30 days . If your order amount more than 10 USD,get free faster shipping .^_^ We have reason to believe that you will like this unique product and leave a positive five-star rating for sharing with other buyers. If you have doubts, Iamtouched and ebay will jointly protect your interests. If you don't like our products ,please feel free contact us . ⊙﹏⊙ No matter what problems or needs you have,please feel free contact us. We'll do everything we can to solve your problems.#^_^#. Haunted Living Projection Airblown Halloween Pumpkin Carriage Inflatable.